If you are looking to get discounts and other offers on properties, head to the Dubai Property Festival taking place from April 9 to 11 at the Dubai World Trade Centre. The event will provide visitors with offers, including the lowest financing rate with a profit margin of 1.85 per cent per annum on mortgages for deals concluded during the festival, in addition to discounts of up to 20 per cent on certain projects. The Dubai Property Festival is being held in a partnership between the Real Estate Investment Management and Promotion Centre, the investment arm of the Dubai Land Department, and the International Property Show. The festival will witness the ‘Mega Property Sale’, which is intended to provide opportunities for investors to benefit from exclusive discounts and promotions, as well as low interest rates. The event will be held on the sidelines of the International Property Show. The festival also features a Brokers’ Village offering exclusive deals at best prices from developers, an Investor Lounge, workshops and training sessions, and a property auction. DUBAI, April 3 (Reuters) – DAMAC Properties, the second-largest listed real estate developer in Dubai, has hired banks to arrange a series of investor meetings before a potential issue of U.S. dollar-denominated benchmark sukuk of five or seven years, a document from one of the banks showed. Benchmark deals are generally meant to be at least $500 million. DAMAC, rated “BB” by S&P, has mandated Barclays and HSBC as global coordinators and Barclays, Dubai Islamic Bank, Emirates NBD Capital, HSBC and Kamco Investment Company as joint lead managers and bookrunners for the potential issue of Islamic bonds. DAMAC is a business partner of U.S. President Donald Trump and operates the only Trump-branded golf club in the Middle East. Trump World Golf Club Dubai, a second golf project planned by DAMAC, is expected to open by the end of 2018. Dubai’s real estate prices, hit by new supply, could decline by 10 to 15 percent over the next two years, after falling by 5 to 10 percent in 2017, according to S&P estimates. The real estate slump hit Dubai’s top property developers such as Emaar Properties and DAMAC, which in its latest financial results showed a nearly 47 percent plunge in net profit for last year’s fourth quarter. The company will meet bond investors in Asia, the United Arab Emirates and the United Kingdom from April 5, the document showed. A senior unsecured sukuk offering will follow, subject to market conditions. On Tuesday, DAMAC also invited holders of its existing $650 million sukuk due in 2019 to tender those notes for purchase by the company for cash. It did the same last year when it raised $500 million in sukuk arranged by Bank of America Merrill Lynch, Emirates NBD Capital, HSBC and VTB Capital. Just before that bond sale, DAMAC bought back around $198 million of its $650 million sukuk maturing in 2019. Developers of UAE-based projects will be allowed to sell their projects at this year’s Cityscape Global, Dubai Land Department has confirmed. Sales of projects returns to Cityscape last year for the first time in 16 years, with over $230 million (AED870m) worth of on-site transactions recorded during the three days of the event. In the previous years, developers, local and international, were only allowed to showcase their projects and not allowed to conduct any sales during the event. In a post-show report compiled by Informa, organisers of Cityscape Global, some 67% of the 37,821 visitors who attended the event expressed an interest in making a purchase or doing business with an organisation they met at the exhibition over the course of the next 12 months. Many exhibitors reported a successful 2017 at Cityscape Global: Azizi Developments sold out their phase one units for the $3.3bn (AED12nn waterfront project, Azizi Riviera and reported $350m of total sales at the event. There was also an anonymous buyer of Omniyat’s One Palm units, which broke the record for the most expensive penthouse with a final price of $28m (AED102 million) and Aldar’s ‘Water’s Edge’ project generated $109m (AED400m) in sales of the first phase. 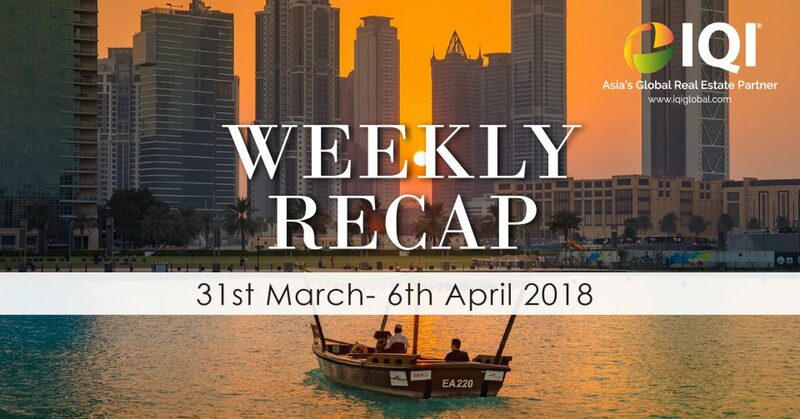 The show also saw a host of new project launches and masterplan unveilings from major developers such as Nakheel’s $1bn (AED4bn) worth of developments; Union Properties’ $2.1bn (AED8bn) masterplan for MotorCity; and Deyaar’s $270m (AED1bn) South Bay in Business Bay.